Homeopathy with 200 years of clinical experience has taken a quantum shift thanks to computerisation, electrodes screening EDS. We are able to read symptom and tissue frequencies with the computer, send back healing frequencies looking for neutralisation via finding a resonance of the abnormal. By doing hundreds of these rechecks in minutes, we can save you hours of time and receive what we feel is much better and quicker results. 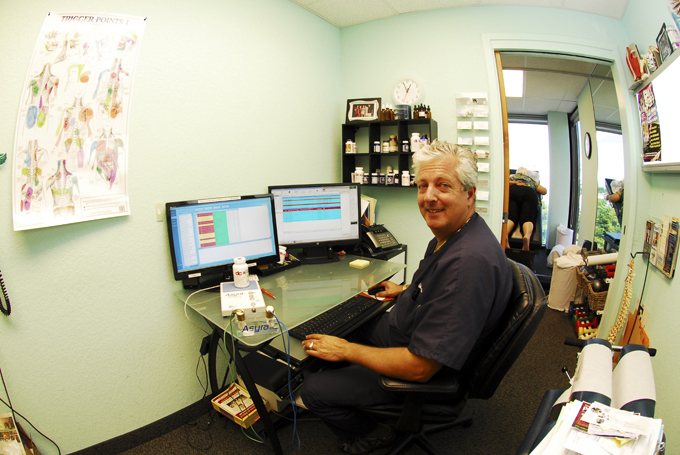 In our office Dr Cliff uses the Asyra or Bax3000 to integrate homoeopathy and our energy medicine protocols for you. After 30 years combining Applied Kinesiology, acupuncture, chiropractic and Homeopathy, we feel we have created the ultimate in Alternative Medicine. All substances, whether living or non-living, have a characteristic resonant signature. Every specific tissue and organ in the human body has its own individual resonant frequency. By outputting a software-recorded 'copy' of these resonances we can predict how the energetic system of the body will respond to them. This scientific application of traditional methods removes the guesswork that's involved in many analyses (conventional and complementary). 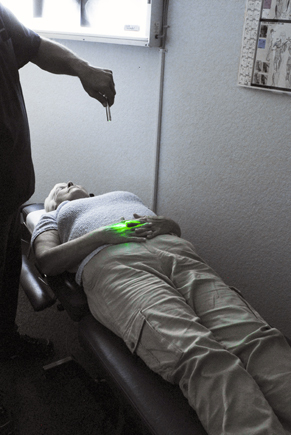 This is the science of bio-energetic, or electro-dermal, screening. Conventional laboratory testing procedures are limited in the information they offer and can be very misleading. For example, hair analysis may identify the presence of Iron. However, the hair is a pathway by which the body excretes iron, so we cannot conclude anything about the level of iron currently in other tissues. In many cases there is NO way of using laboratory testing to determine the levels of a toxic substance across the whole body (without killing the patient first!). This is why energetic testing is in many cases more useful. Energetic changes precede cellular changes  if the illness has not progressed to the point where there are cellular or structural changes, conventional tests will usually reveal nothing. This is not where the implications of bio-energetic technology end. If every substance, living or non-living, emits electromagnetic frequencies based on the amount and rotational speed of their atoms, and if we can identify these frequencies, then we have an extremely valuable tool for treatment. Remedies can be tested for compatibility with specific conditions for every unique case that a client may present. 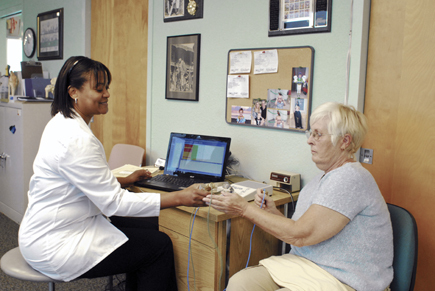 Using this approach, the practitioner can map out the most effective course of treatment. Furthermore, now that we have a database of frequencies of substances and conditions, we can imprint remedies, bespoke for the individual client's requirements; a digital form of homoeopathy completely customized for each case.